This research is aimed to analyse language functions in English, specifically those which are used in the context of Food and Beverage Service. The findings of the analysis related to the language functions are then applied in a teaching method which is designed to improve the students’ abilities in speaking English. There are two novelties in this research. The first one is the theory of language functions which is reconstructed in accordance with the Food and Beverage Service context. Those language functions are: permisive (to soften utterances, to avoid repetition, and to adjust intonation); interactive (to greet, to have small talks, and farewell); informative (to introduce, to show, to state, to explain, to ask, to agree, to reject, and to confirm); persuasive (to offer, to promise, to suggest, and to persuade); directive (to tell, to order, and to request); indicative (to praise, to complain, to thank, and to apologize). The second novelty which is more practical is the design of the ASRI method which consists of four basic components, namely: Aims (the purpose in communicating); Sequence (the operational procedure in handling guests in the restaurant); Role play (the simmulation activities in language learning); and Interaction (the interactive communications between participants). The method of ASRI with the application of the language functions in its ABCD procedure, namely Acquire, Brainstorm, Chance and Develop is proven to be effective in improving the students’ abilities in speaking English, specifically in the context of Food and Beverage Service. LESTARI, Denok et al. Developing A Method of Learning English Speaking Skills Based on the Language Functions Used in the Food and Beverage Service. 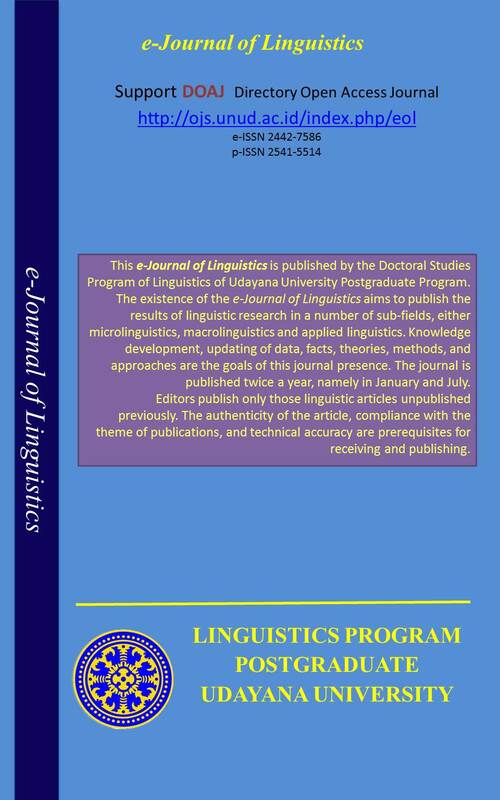 e-Journal of Linguistics, [S.l. ], v. 11, n. 1, p. 70-79, jan. 2017. ISSN 2442-7586. Available at: <https://ojs.unud.ac.id/index.php/eol/article/view/26468>. Date accessed: 21 apr. 2019. doi: https://doi.org/10.24843/eJL.2017.v11.i01.p05.